1. 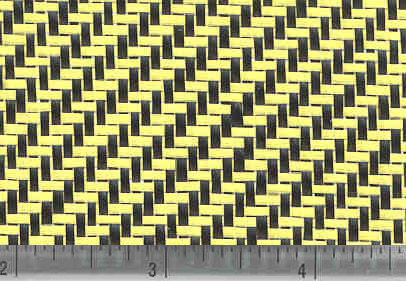 All wide width hybrid fabrics come rolled on a hard cardboard tube for safety. 2. All of our carbon is sold as a dry woven fabric. We do not carry any pre-pregnated material nor any fabricated sheets or tubes. 4. All cut yardage prices are as you see them, no extra charges. 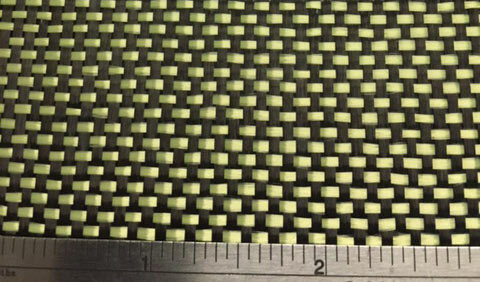 Fabrics containing KEVLAR® can be very difficult to cut. 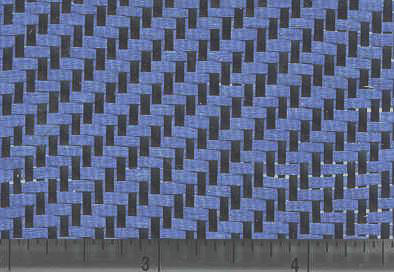 KEVLAR® shears should be considered when doing large amounts of work. Using very sharp regular scissors will cut slowly. 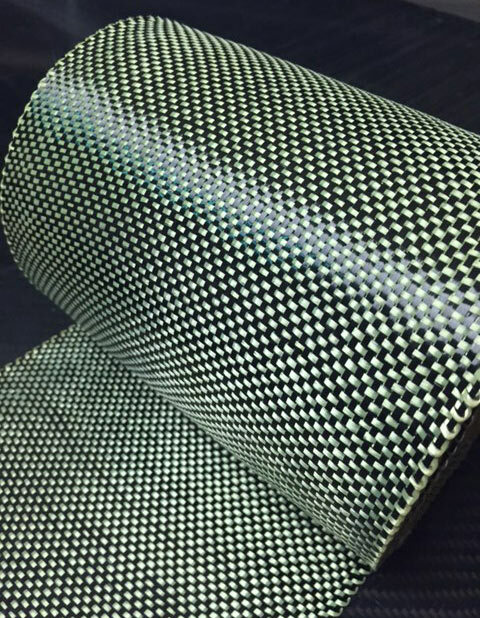 Please note that when resins are applied to these fabrics it will typically slightly darken the appearance of the colors as shown in our pictures. We recommend using the clearest resins possible for appearance purposes. For clarity the Silmar 249 Polyester would be our choice, for best strength we would suggest our # 635 epoxy resin system. 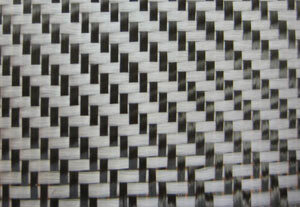 Fabric containing both carbon fiber and Spectra in one woven fabric. Spectra provides the highest impact strength available in a composite fabric and must be cut with special scissors(scissors available here). 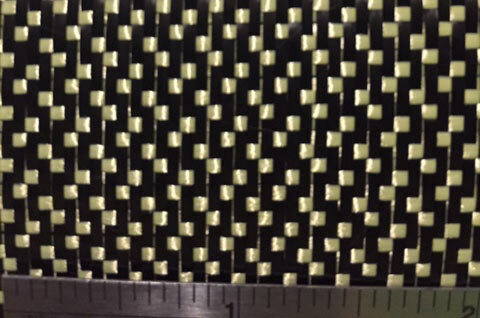 Using a hybrid carbon/spectra can provide improved impact resistance and strength over a carbon/KEVLAR® hybrid. 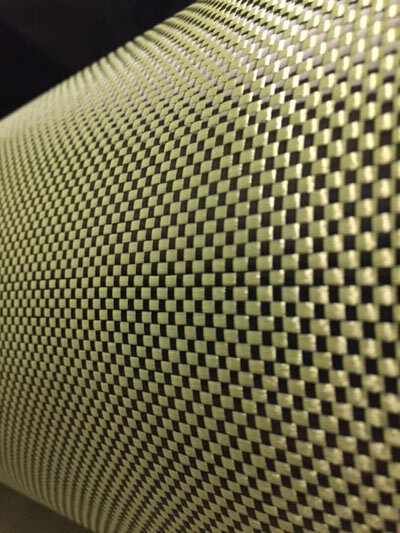 Fabrics containing both carbon fiber and KEVLAR® in one woven fabric. 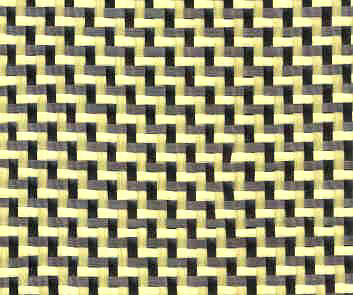 2x2 Twill Weave. Drapes easily. 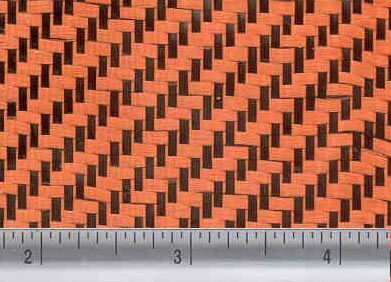 Combines high strength and durability of both fabrics. Used commonly for cosmetic parts. 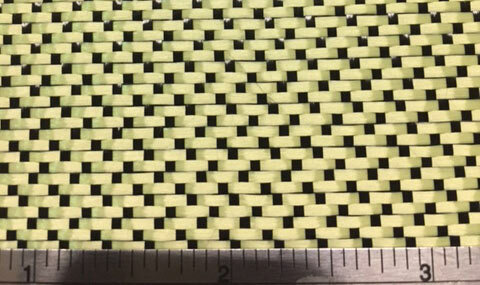 2x2 Dual Twill Weave. Drapes easily. 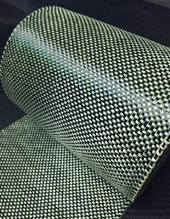 Combines high strength and durability of both fabrics. Used commonly for cosmetic parts. 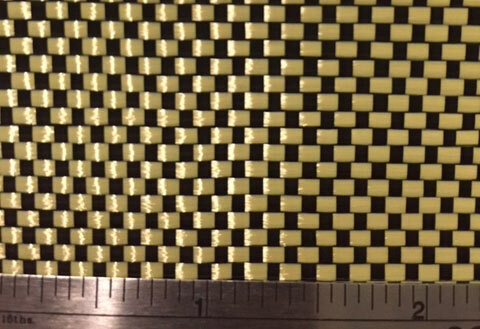 This style of weave allows one side to appear mostly black and the other side appears mostly yellow. This heavier hybrid cloth drapes easily over average shapes and provides a unqiue speckled-like pattern. 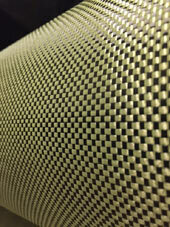 The 3K carbon runs in the warp(length of roll) and the Aramid is the fill(side to side threads). 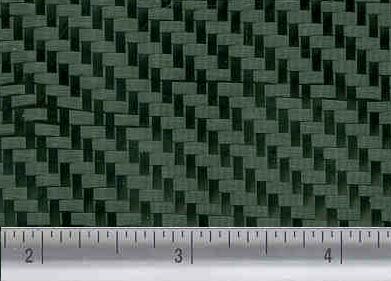 Combines the high strength and durability of both fabrics. Good buildup and conformability. 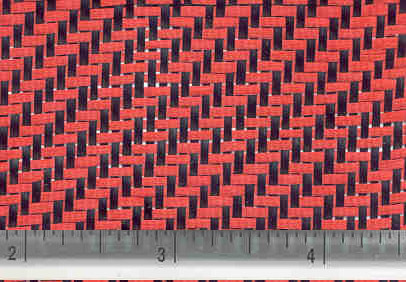 Fabrics with widths from 2" to 6"
their narrow widths (2inch 4inch 6inch, etc.). These products do not have any adhesive backing. 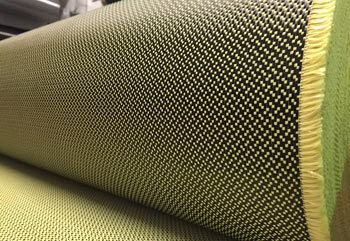 Unique fabric combining 3K-Carbon(Warp Direction) and KEVLAR® (Fill Direction) yarns into a plain weave fabric. 5oz Tapes 4" and 6"